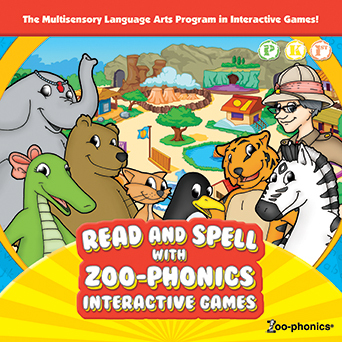 Zoo-phonics® has created an exciting set of games featuring our Animals that is both entertaining and educational. Meet Zoophonia, Zeke Zebra and all of the Animals as they teach children the Shapes, Sounds and Signals of the lower and uppercase alphabet, VC/CVC words and blends. In a short time, children will begin to read and spell. The children get to know each Zoo-phonics® Animal; they learn the Body Signals and the Zoo-phonics® song. Reading in a library setting is included. There are 15 games and in every activity, there are 10 to 15 activities. Each game and activity become a little more challenging, yet always encourages and instructs the young reader. This version of Read and Spell with Zoo-phonics® is compatible with Windows PC’s with the following operating systems: Windows 7 and above. Call us for volume software licensing and save even more!